What is the greatest obstacle that college students face when they consider traveling abroad? That’s easy. Money. As college students, we’re tasked with affording tuition expenses, books, and just general costs of living. When forced to budget, it is understandable that traveling to foreign countries often falls low on our list of possibilities. But it doesn’t have to be this way. If you plan ahead, traveling abroad can be affordable, allowing you to experience a place unlike any other. Odds are, there are a few countries on your Must-See list. Personally, Greece has always been on mine. But flights to Greece are consistently upwards of a thousand dollars, and I didn’t have that kind of money to spend solely on a flight. 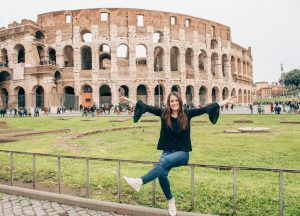 There are certain countries that are much cheaper to fly to and Italy happened to be one of them. Some will have less expensive flights, food, and excursions, than others. When it comes to booking a flight, you’ll want to book well in advance to snag the best rate, and don’t be afraid to stray from your usual airline. There are some great European airlines that often times offer the best deals. Someday, I will get to Greece. But when travelling abroad in college, it’s best to pick a country that you can reach without throwing your budget out the window. Before heading to Italy, I read Rick Steves Italy 2017, which taught me all I needed to know about Italian cuisine and tourism. You’ll want to pick a country that offers affordable food choices. Many countries also have numerous markets where vendors sell great items at negotiable prices. Don’t be afraid to bargain. Italian vendors like to name their price depending on how affluent they judge a potential buyer to be, so most items at these markets didn’t even have a price tag. Many vendors are good at spotting tourists who may not know that prices are negotiable, so be polite but persistent in bargaining for a fair price. It is important you read up on the culture so you can be aware of how to interact with the locals. I recommend checking out any one of Rick Steves’ guides before you go. It was his book that outlined how to budget for every excursion imaginable in all of Italy’s most famous spots. Affordable travel is attainable if you’re willing to work for it. You shouldn’t have to wait for someday to have an inspiring experience abroad; you have everything you need to make it happen today. As college students, we’re at a unique place in our lives, just beginning to discover who we are and who we want to be. I want to be a person who pushes past barriers, whatever they may be. So start searching for those flights, grab yourself a copy of a Rick Steves travel guide, and you won’t have to worry so much about money. There is a vast world out there, and you’ll never regret exploring it. Pearson Students: Are you planning to study or travel abroad? What’s going into your planning process? Share by commenting below! Delaney Henson is a freshman at the University of Louisville, majoring in Communications and minoring in Marketing and Creative Writing. She also serves as the university’s Pearson Campus Ambassador. Delaney is an Honors student, as well as a member of the Delta Zeta Sorority. She volunteers weekly with students at a public elementary school in the city of Louisville, and often at Louisville’s own Heuser Hearing Institute, helping children with hearing loss and speech and language disorders. She believes that there is immense value in both oral and written communication, and she intends to pursue a career in Publishing. 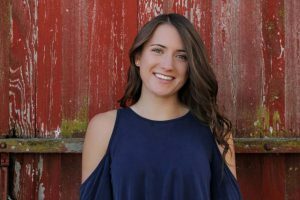 In her free time, Delaney loves to read and write, as well as spend time with her family in her hometown of Sycamore, Illinois.